Have you opted for a health insurance plan this financial year? If not, then we tell you about the best medical insurance plans for 2017-18. By taking health insurance, you protect yourself and your loved ones from sudden medical costs or expensive health treatments. 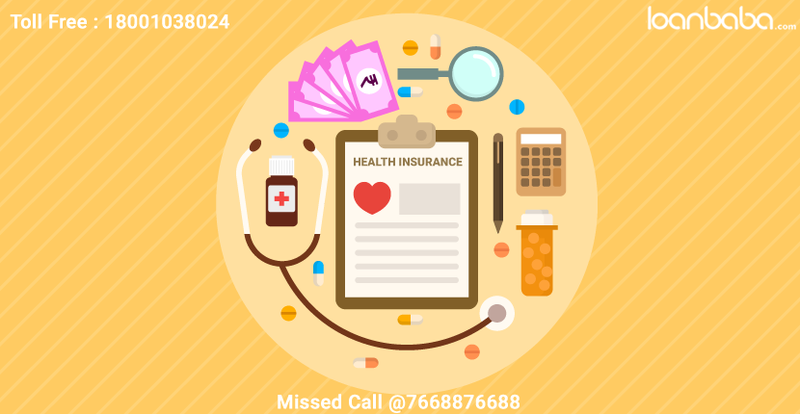 In India, many insurance providers offer low-cost and effective health insurance policies, with best features. Health Insurance plans have also become attractive with an elevated tax deduction limit. You can save as much as Rs 55,000 each year, if you take health insurance for your entire family including your kids and dependent parents. 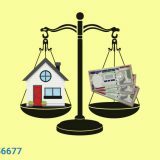 This tax deduction claim can be made under Section 80D (Income Tax Act). This popular health policy has no sub-limit on doctors’ fees, particular diseases, hospital expenses, and hospital room rents. It allows you to enjoy a cumulative bonus on completion of each claim-free year. This is given as an elevation to the sum assured. The policy-holder is also allowed to include the health check-up costs on completion of 4 claim-free annual cycles. The biggest advantage of HDFC ERGO Health Suraksha is that the policyholder can avail the benefit of cashless hospitalization over 5000 and more hospitals throughout India. One does not need to undergo a health check-up for getting this policy if they are below 45 years of age. This is applicable, however, if the applicant has no pre-existing disease. The applicant can select from a range of sum assured between Rs 3 lakhs and Rs 10 lakhs. The policy also enables one to claim medical reimbursements for expenses incurred during in-patient treatments in Homeopathy, Siddha, or Ayurveda institutions. This health insurance plan presents the benefits of automatic reinstatement of the insured if it gets exhausted within a policy year. The sum assured gets restored by 200%. This plan restores the entire sum assured while other insurance providers only reinstate the basic sum assured. The policy also provides coverage for 101 day-care processes. A policyholder, of course, gets a NCB or No Claim Bonus of 5% for each claim-free year. NCB can rise up to 25%. On completion of 4 claim-free years, you become eligible to claim health check-up expenses up to Rs 5000. You can also avail add-on covers like Hospital Cash and Patient Care. Hospital Cash offers cash benefits for each completed day of hospitalization while Patient Care is utilized for covering nursing charges after the discharge of the patient from hospital. Star Health MediClassic can be taken for a 5-month-old baby (lower limit) while the upper limit is 65 years. This is a rare health insurance plan that covers a child attains 1-year of age. Religare provides a number of CARE plans whose features differ on the basis of the sum assured. The sum assured can range between Rs 2 lakhs and Rs 6 crores. CARE plans where the sum assured is less than Rs 5 lakhs cover pre-hospitalization and day-care treatment up to 30 days. Organ donor cover is also provided. These plans also cover 2nd opinions (repeat doctor consultations) obtained by the policy-holder. The policy, depending on the sum assured, provides for alternate treatments up to Rs 50,000. If the sum assured is more than 50 lakhs, the policyholder gets maternity cover up to Rs 2 lakhs. These plans also include vaccination covers up to Rs 10,000. Most CARE policies include hospital room charges for a private single room. These plans also restore the sum assured and offer no claim bonuses. This plan covers OPD (Outpatient Department) expenses and restores the sum assured up to 100%. It also provides the policyholder with health checkups once in every 3 years. One of the special features of this plan is that it covers expert opinion costs, if the policyholder is diagnosed to have a critical illness. The policyholder can opt for additional sum assured of 25%, on completion of a claim-free year, as a cumulative bonus. This can be chosen in place of the NCB. Another unique feature of Cigna TTK ProHealth Protect is that the insured is granted reward points worth 1% of the yearly premium. Each reward point would be worth Re. 1 and the insured can redeem the reward points for a discount on the premium at the time of the next renewal. The reward points can also be redeemed to avail certain services via network partners of the insurance provider. 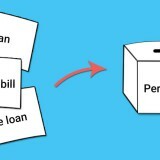 The plan allows voluntary co-payment where the insured can pay the first 20% or 10% of the claim while the remaining amount is covered by the insurance provider. The insured can also opt for critical illness add-on coverage. This plan offers sum assured between Rs 1 lakh and Rs 10 lakhs. The entry age is 91 days and the upper limit is 70 years. The policy offers coverage for 141 day-care procedures. Post-hospitalization costs of up to 60 days and pre-hospitalization expenditures of up to 30 days are covered by this health plan. Dental treatments are covered in cases of accidents. The plan covers in-patient expenses incurred during homeopathic, Sidha, or Unani treatments. The biggest advantage of this policy is that it covers diagnostic tests performed at diagnostic centres that might not even belong to the network hospitals. Another attractive feature is that policyholders can avail discounts in case of single instalment payment of the premium amount. The discount is 7.5% for a 3-year policy and 5% for a 2-year policy. Select a plan that provides maximum coverage. Select plans that offer renewals for the longest period. Select the right Sum Assured on the basis of the number of your family members. Make sure that the insurer you choose has a satisfactory ratio of claim settlement. Go for family floaters, if there are quite a few members for whom a cover is needed. This helps you save on the premium. If there are pre-existing diseases, go for a policy that covers those in the 1st year itself, or take an add-on cover. Study the hospitals covered in the policies that you have shortlisted. A decent network of reliable hospitals is extremely important. Study all the terms and conditions. The fine print tells you everything about policy exclusions as well as conditions for availing the benefits. Health Insurance is a significant part of financial planning and should never be neglected. Secondly, and maybe more importantly, the exorbitant medical expenses are a big reason why we need health insurance today to keep your financial ‘health’ safeguarded. 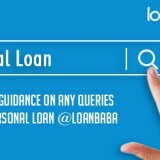 Next story How to Prevent Your Personal Loan from Turning into a Bad Debt? Previous story What Happens to a Home Loan When the Borrower Passes Away?